It's been 40 days today, since i last posted. My grandmother passed away a day after my last post, and I decided to hold off on posting, till we have our memorial service (which takes place 40 days after passing). I didn't actually take this pic - Andy did. She decided to take the cam and walk around the house one afternoon, and wound up taking grans as she sat in the backyard. I have other pictures of her where she looks more presentable (a.k.a posing), but this ones a complete natural - just like she was. Extremely kind and soft spoken, she was the last of my grandparents. She has stayed with us since 1991. It was surprising how active she was even in her 90s, which was probably why it was a shock to hear she had suddenly gotten bedridden. 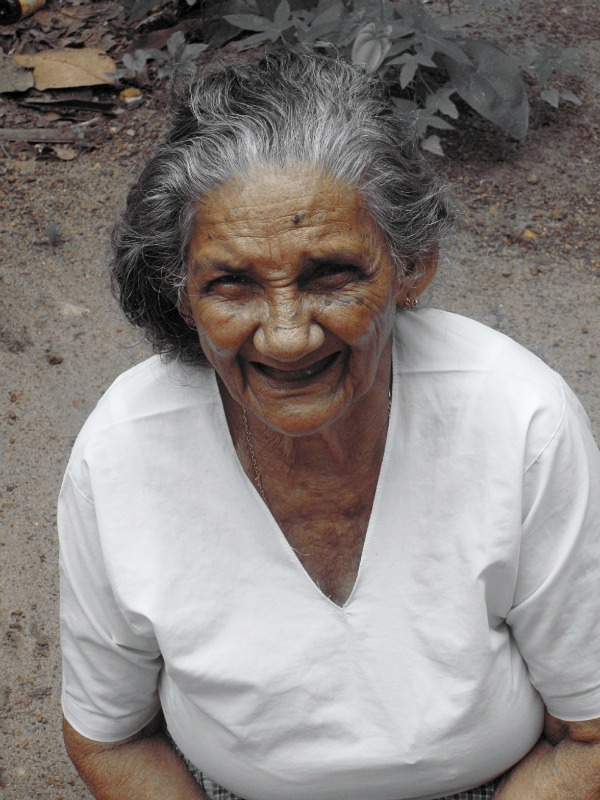 Having been so for just over a year, she breathed her last on the 4th of Jan '12.We were fortunate enough to meet her in May & Dec of 2011, and i got to attend her funeral in Kerala on the 6th of Jan. She is and will be dearly missed.